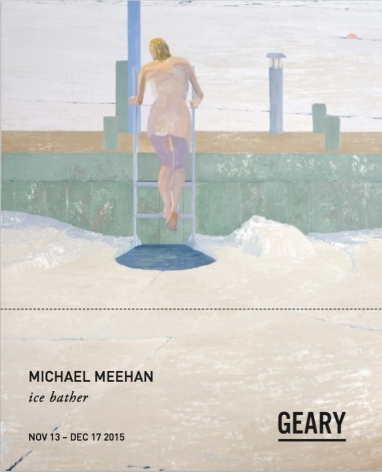 Geary Contemporary is pleased to present Ice Bather, a series of recent paintings by Michael Meehan. 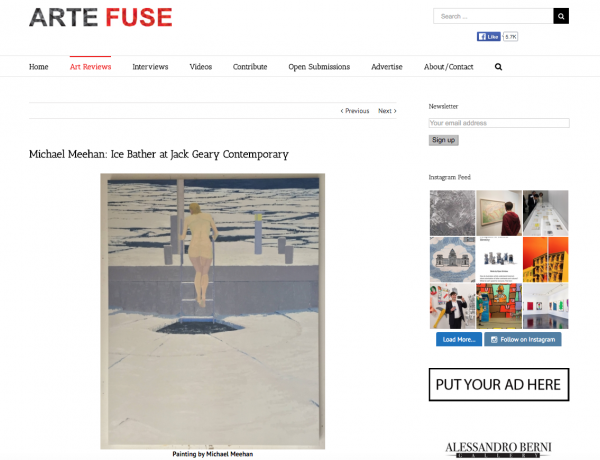 The exhibition will be on view from November 13 through December 17​ with an opening reception on Thursday, November 12 from 6 to 8 p.m.
"The depiction of this wintry scene emanates from such a convincingly embodied vantage point as to make our empathy with the struggle against the extreme cold it expresses absolute. And indeed, the cold here is all pervasive, infusing the colors, rhythms, and even the tightly constructed compositions with its restrained kinetic energy." Michael Meehan, born New York City, received his BFA from Cornell University and MFA from the New York Studio School. Michael has lived, worked and exhibited in New York , California and Sweden. He currently lives and works in New York City, and has taught at the New York Studio School. His present series of paintings is based on work from observation and memory from his time in Sweden.